The distribution of "speciality goods" demands outstanding technical expertise. Our customers expect comprehensive advice when purchasing our products – we don't disappoint them either! 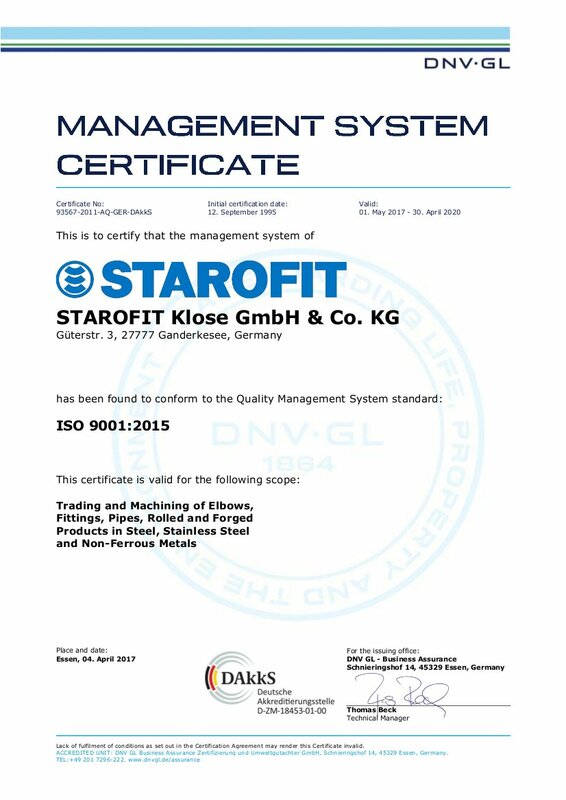 Rest assured: Your contact partners in our company know the standards inside out due to regular training, and are always in touch with current developments in relation to standards and guidelines. 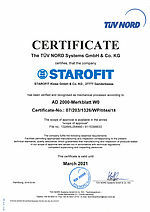 STAROFIT has always been an active member of EN standards committees and various specialist, trade and sponsorship associations. 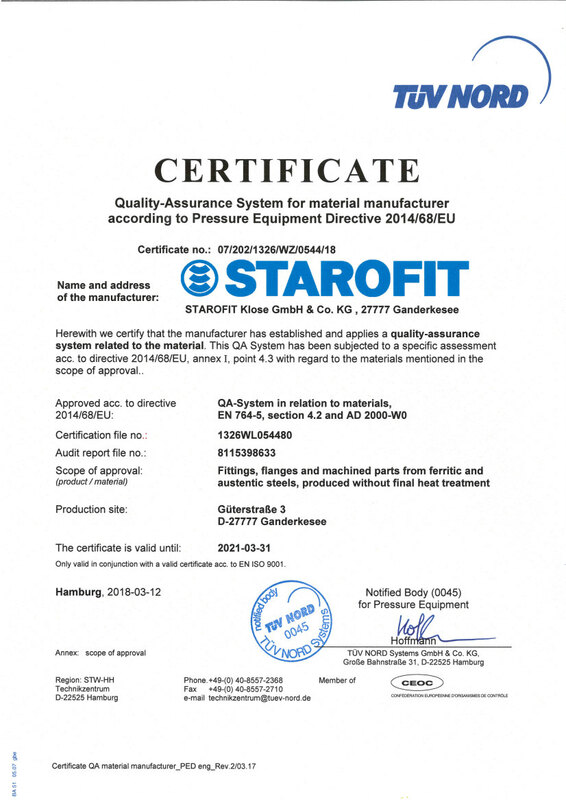 Thorough goods inspection according to stringent criteria STAROFIT guarantees that every product is scrutinised in accordance with a comprehensive inspection schedule and every work step is precisely documented. Only parts that are 100% technically perfect are recorded, correctly placed in storage and shipped. 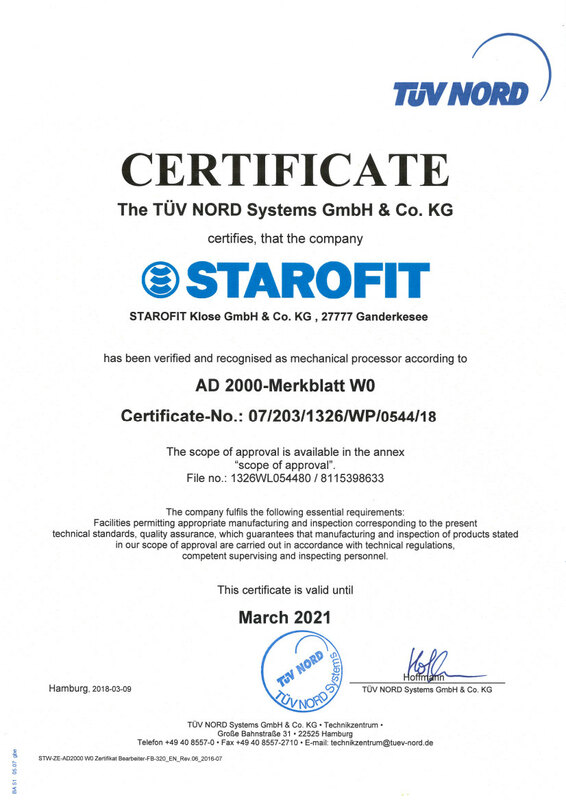 To ensure the high STAROFIT quality standard, our goods inspection department uses calibrated measuring instruments, which are regularly inspected such as spectrometers and devices for testing hardness and measuring wall thicknesses via ultrasound. 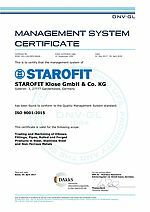 We only stock products by manufacturers who can verify they are TÜV-approved and are certified in accordance with PED (Pressure Equipment Directive) and ISO 9001. 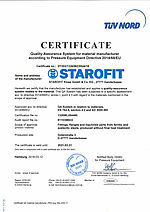 Furthermore, every supplier must comply with the strict requirements of our internal quality standards. Carbon and stainless steel fittings according to EN and DIN as well as carbon steel fittings in accordance with ASME are sourced exclusively from manufacturers in the European Union. We source stainless steel fittings in accordance with ASME from suppliers worldwide.